← Krispy Kreme Order Pick Up Tomorrow! 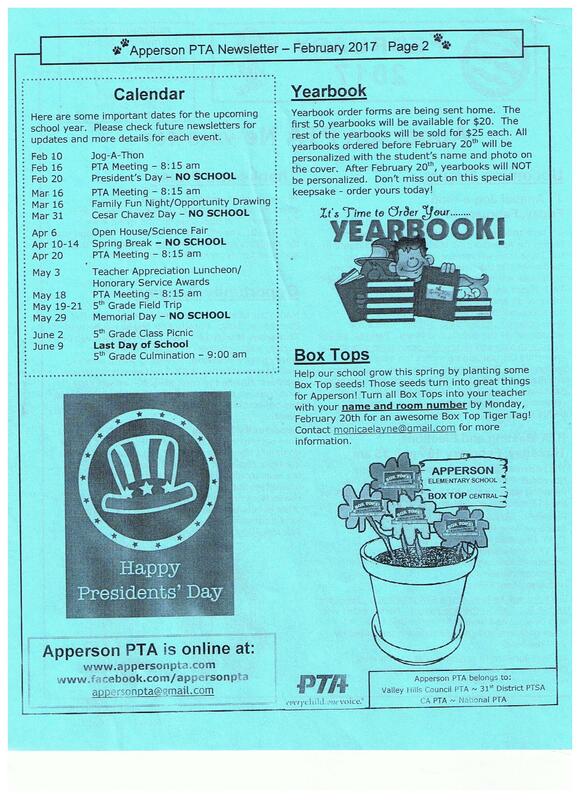 It’s a busy time at Apperson! 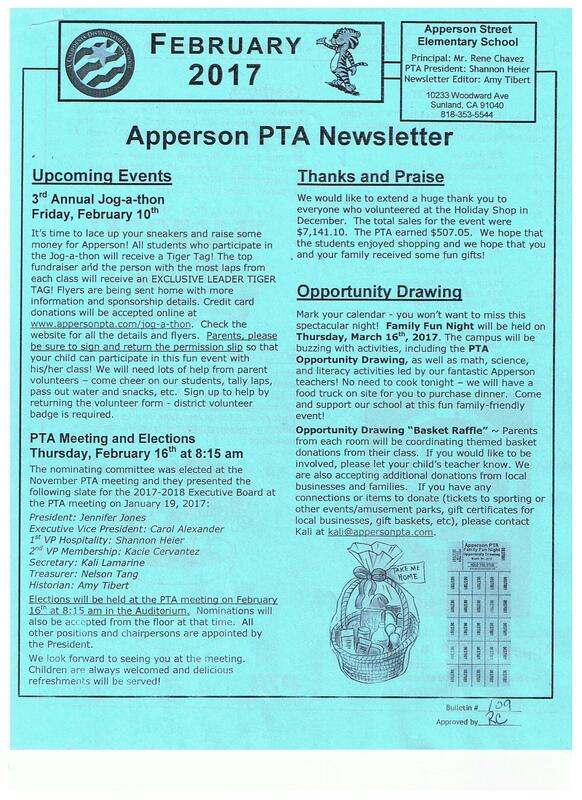 Be sure to read the Apperson PTA newsletter to stay up to date on all that is happening. The Jog-A-Thon is just around the corner – next Friday to be exact! 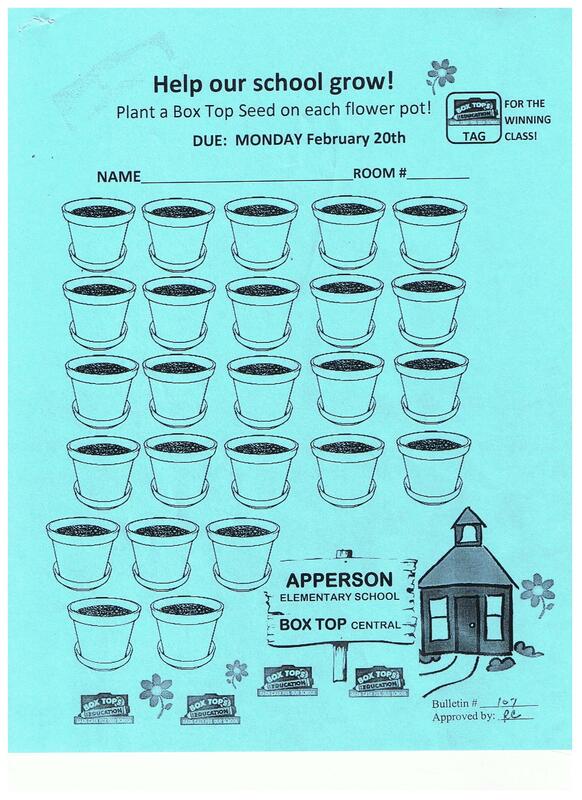 Start collecting pledges now and turn in all donations by Friday, February 10th. 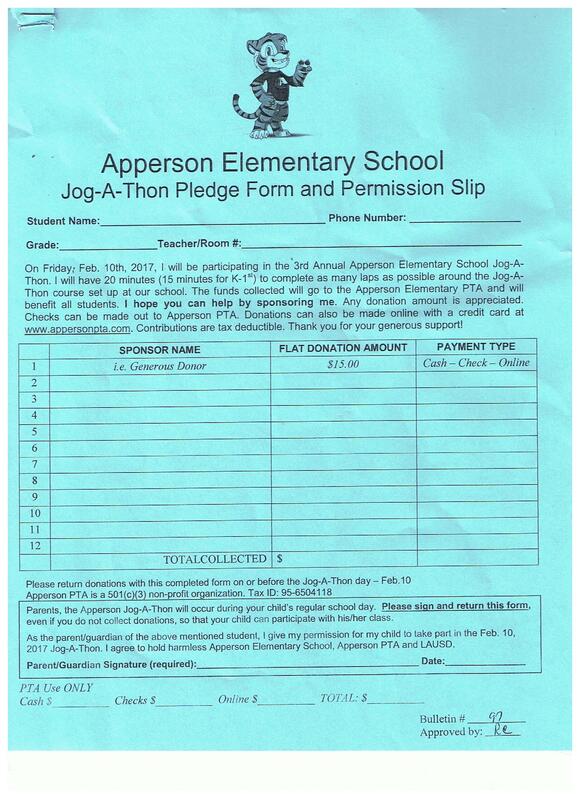 Friends and family can also make a donation online at www.appersonpta.com – look for the “Sponsor a Jog-A-Thoner” link at the top of the page. 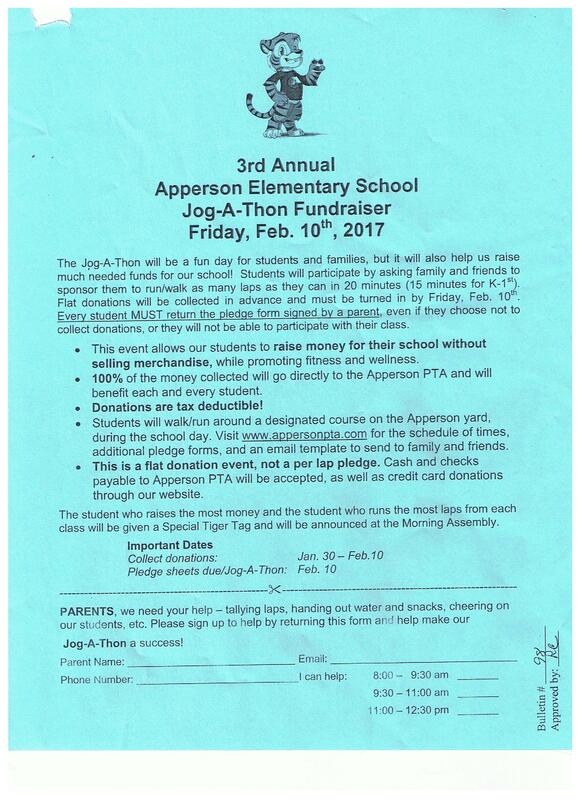 Make sure to sign and return the permission slip so that your child can participate in this fun event with his/her class, regardless of the amount of donations collected. If you would like to volunteer at this event, please return the volunteer slip – a district volunteer badge is required. 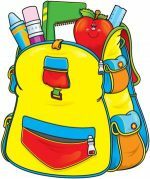 Please join us for this month’s PTA meeting on February 16 @ 8:15 am – we will be holding elections for next year’s PTA board. We hope to see you there! 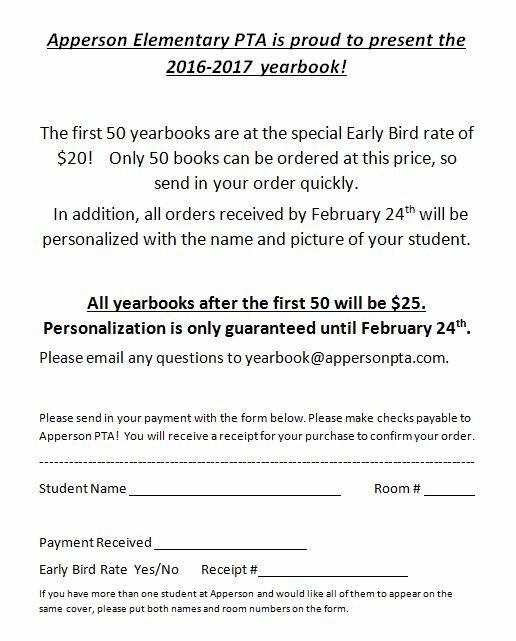 Yearbooks are on sale now – the first 50 books are going fast and will most likely be sold out by tomorrow. The rest of the books will be sold for $25 each and include free personalization through February 24th. 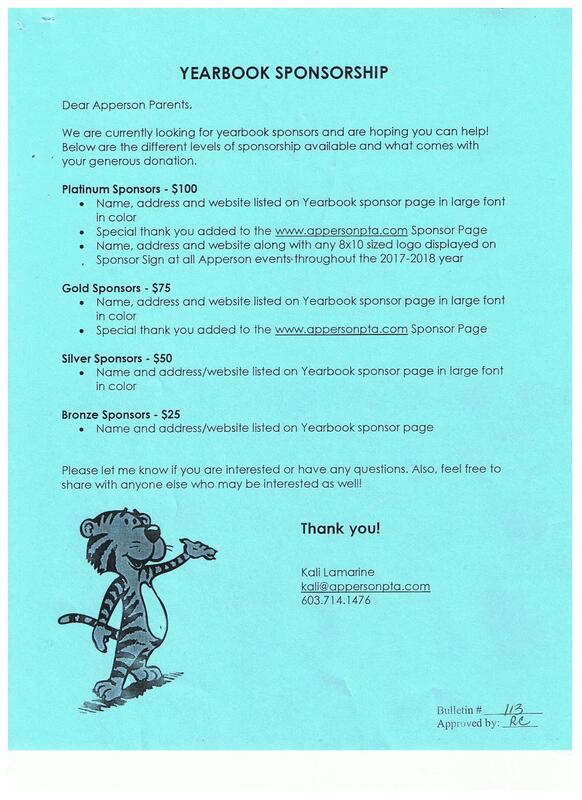 It’s also time to order your Pawprints for the yearbook – we have many options to choose from! See the flyers for all the details. 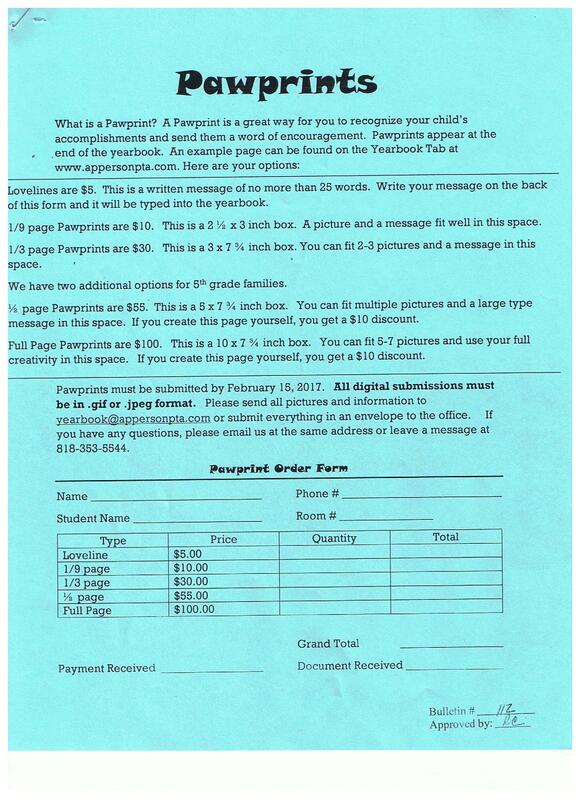 This entry was posted in Box Tops, Events, Fundraising, Newsletter, PTA Meetings, Virtual Backpack, Volunteers, Yearbook. Bookmark the permalink.